Like Albert Street Prawn Noodle, Xin Mei Xiang Zheng Zong Lor Mee is usually seen with a long queue which means waiting is inevitable. But your patience will be paid in full once you indulge in its kinda mindblowing lor mee. 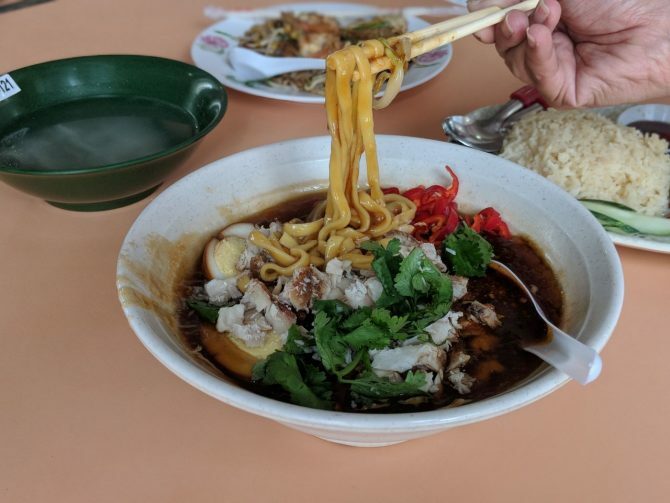 Heavily doused in a smooth, piquant braised gravy, thick yellow noodles weave through ingredients of pork, egg and a fistful of spices and garnishes such as minced garlic for a bowl of lor mee that is big on flavour. But the highlight has to be the snapper fish flakes that are generously sprinkled into the bowl.